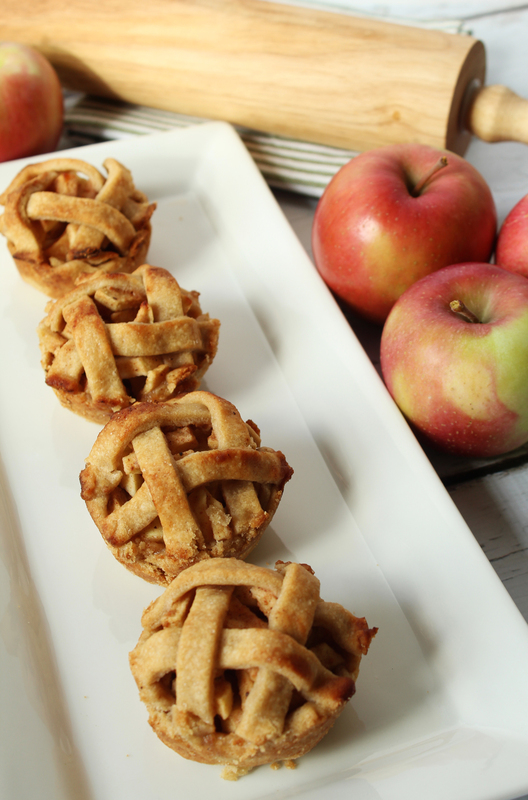 When it’s fall, that means apples creep their way into our daily diet. 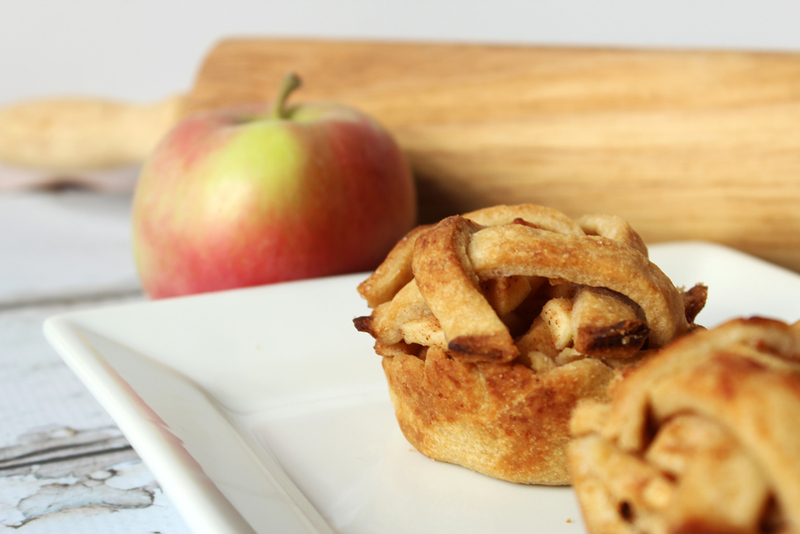 One of the best ways for that to happen is through warm apple pie. But baking a big apple pie seems like a daunting task, and I didn’t know if I had the time or energy to go to that length. Also, it takes a LOT of apples! Well, there is! 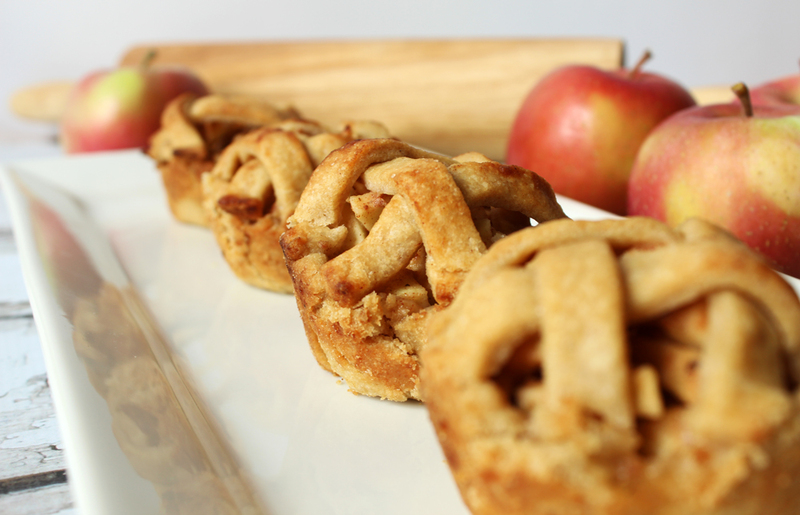 Miniature Apple Pies! 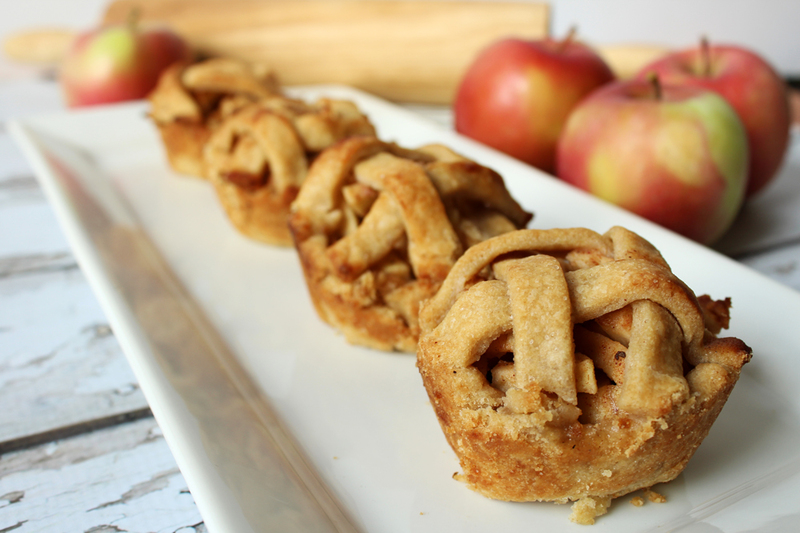 No $30 apple bill, no hoping the middle gets done all the way – just warm, gooey apple goodness. 1. To make the pie crust, first mix the flour and sugar. Then, add in the butter and cold water and use your hands to knead it. Form one ball of dough, and then split into even halves. 2. To make the pie filling, place all ingredients into a large mixing bowl, and mix with a wooden spoon. 4. Misto-spray a muffin tin and set aside. 5. Roll out half of the pie dough and use something circular, whether it’s the top of a drinking cup. But, make circles and place those circles into the muffin tin. 6. 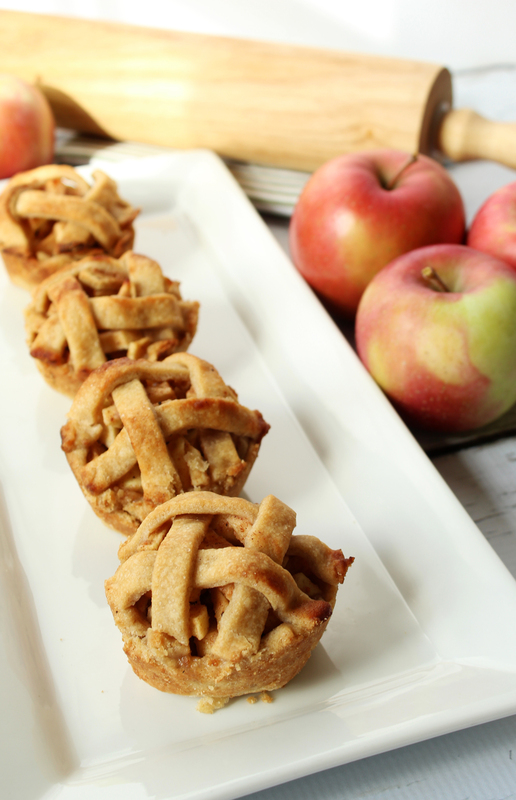 Now, using a spoon, fill the muffin tins with the apple mixture. 7. 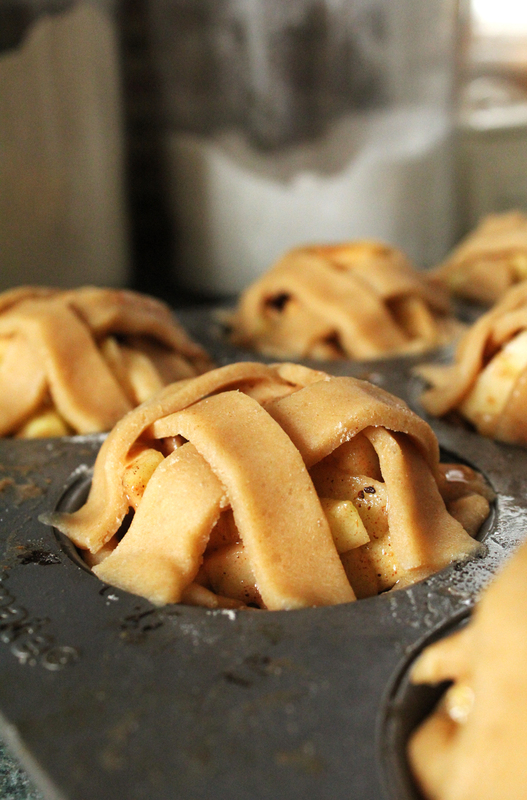 Roll out the other half of the pie dough and do the same thing as the bottom for the tops. Or you could get fancy and cut strips and then weave them on top. You can do whatever you’d like! 8. Place your “pie tin” in the oven for 15 minutes. 9. Take out, let cool, and enjoy!